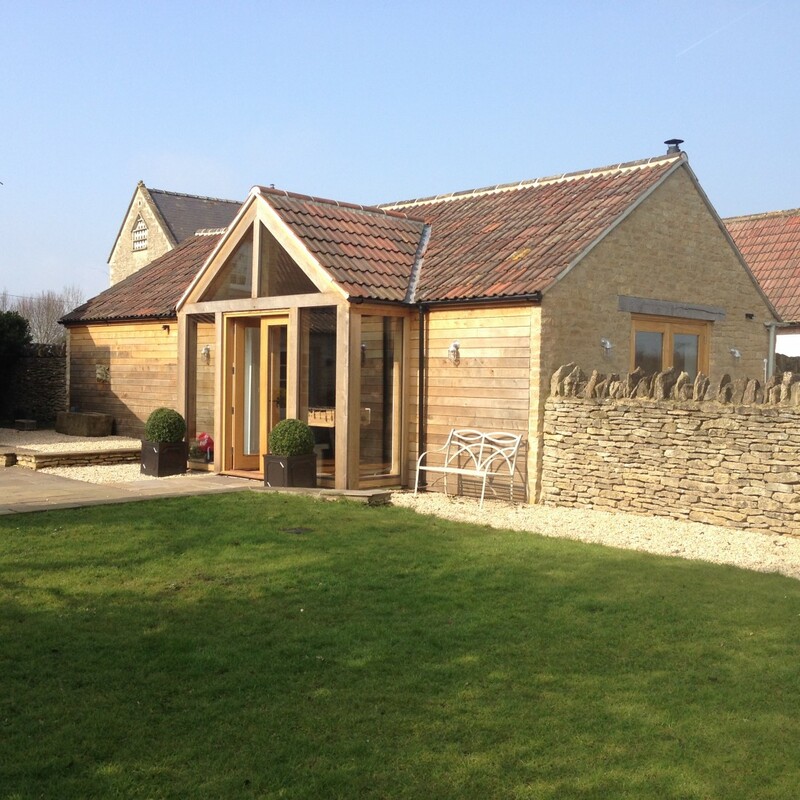 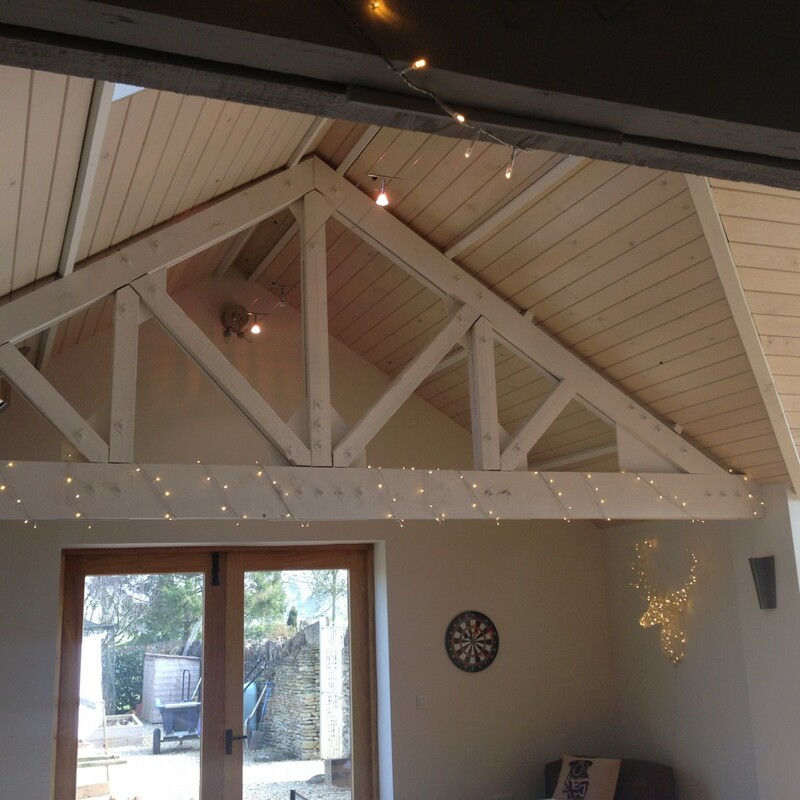 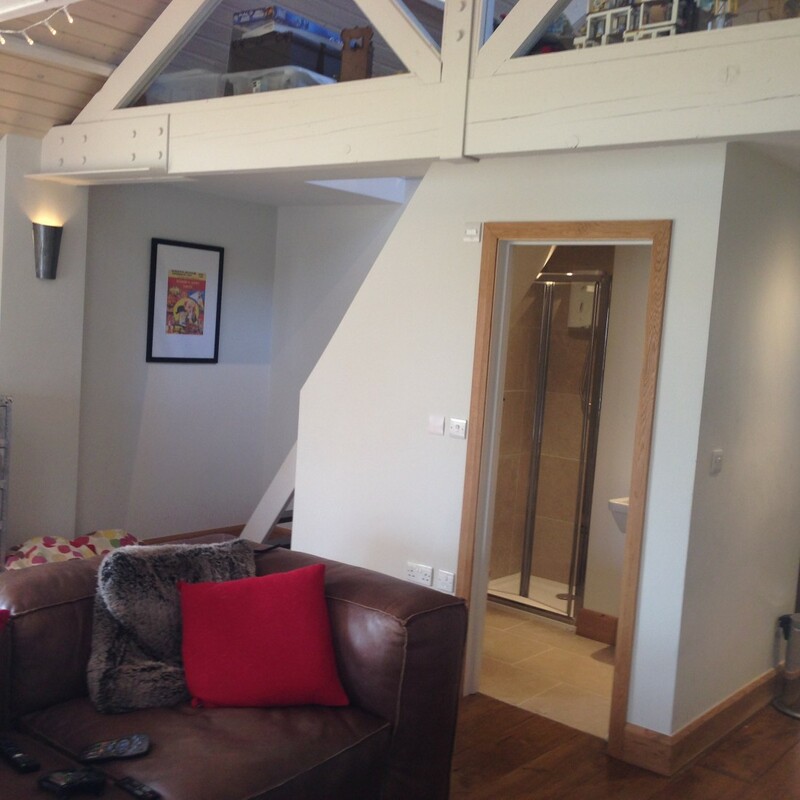 This barn, formerly used for milking cows, has been extended and converted to a self-contained garden room complete with kitchen, shower and wc accessed off the main sitting area. 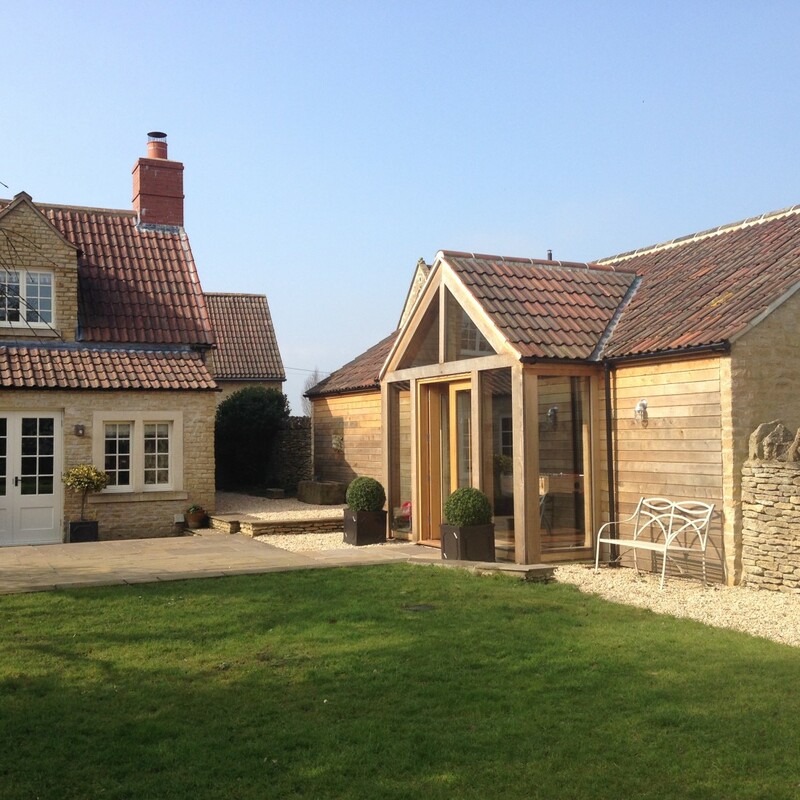 It is located 15 metres from the grade 2 listed main house in its rear garden. 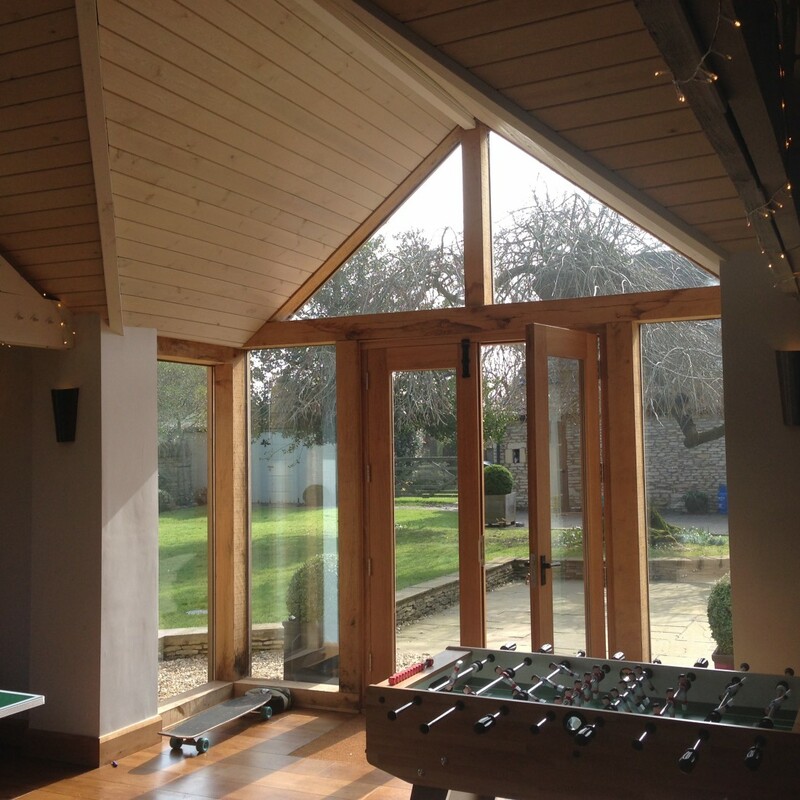 To make it useable throughout the year it is insulated to above the standard required by the Building Regulations and has the benefit of underfloor heating powered by an ‘air-source’ heat pump together with a wood burning stove. 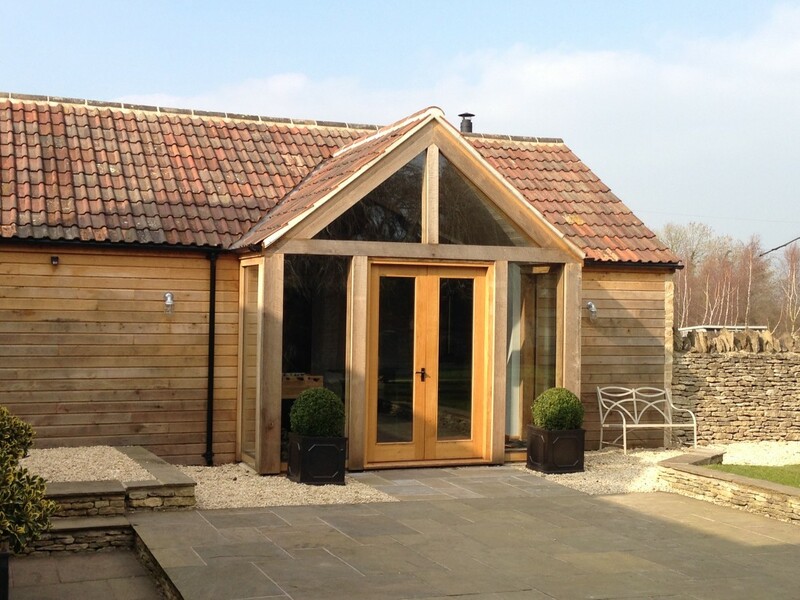 The barn is linked to the terrace in front of the main house with an oak framed glazed entrance.